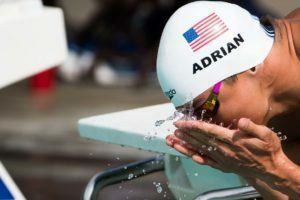 We’ve put together a list of the top 6 swimmers in each race across all of last weekend’s big meets to compare where the swimmers are at as they head towards Trials and this summer’s Olympic Games. Two-time defending 200 breast NCAA champ Will Licon had a convincing win in the men’s 200 breast over Chase Kalisz, out-splitting him on every 50 to win in 2:10.68 over Kalisz’s 2:12.57. Licon was out in 1:03.07 and managed to keep his final two 50’s under 34 seconds to shut the door on Kalisz. Kalisz was out in 1:03.59 but tailed off a bit in the back half and Licon took advantage. 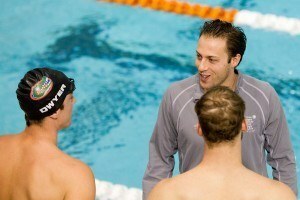 Licon and Kalisz’s rivalry goes back to the 2015 NCAA Championships, where Licon upset Kalisz to win the 400 IM after Kalisz was the two-time defending champion and American record holder. 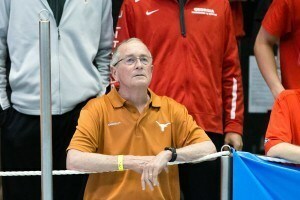 Andrew Wilson of Longhorn Aquatics was well back in 3rd in 2:16.52, and Hayden Henry of Tigershark was 4th in 2:17.59. Of one the best up and coming breaastrokers in Usa right now . H is in a good space for Trials . 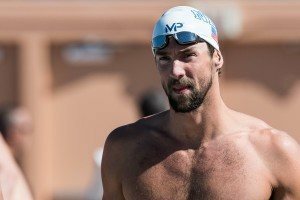 As I posted here after watching him swim 2:13 alone, Will will be swimming under 2:08 and qualifying for Rio. You better believe it. Licon is definitely in a groove now. Expect him to have an awesome OT and Olympics – top 3 medalist. Chase Kalisz is also really hitting it. He will make the team in the 400 IM (my opinion) and will push Phelps hard in the 200 IM as well.